Great compact size, used to replace a Red Flash marine battery that had less capacity, far worse deep cycle capability and costs £40 more. A superb upgrade and a great service from Tayna. 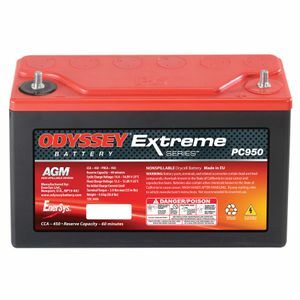 Tayna recommended this battery for my project. I couldn't believe such a small battery could pack such a punch. Well done Tanya! FIrst class product and service ???????? Service good as usual! There was a slight delay, but we were kept informed and could make allowance for this! purchase went smoothly, all questions answered prompty. Shipping from UK to Germany in 2 days ! Product works perfect which we were expecting.